Amazon announced the next generation of its Fire HD 8 tablet today, which adds a 2MP front-facing camera with 720p video, and 16GB storage with support for up to 400GB additional storage via microSD. It’s a definite upgrade from the previous model, which only had a VGA front-facing camera and 2MP rear-facing camera, so you can video chat with your family without looking like a potato! However, even though the new tablet keeps the same internal specs of last year’s model, with a quad-core 1.3 GHz processor and 1.5GB of RAM, somehow the battery life seems to have decreased from 12 hours to 10. The price remains the same at $79.99 and is available for preorder now. The Fire HD line is a solid pick for a cheap tablet, if you’re just looking for a device that lets you watch videos or read books more than you need a wide selection of apps. The price makes it an ideal tablet for kids, and Amazon’s announcing a new Fire HD 8 Kids Edition today as well. 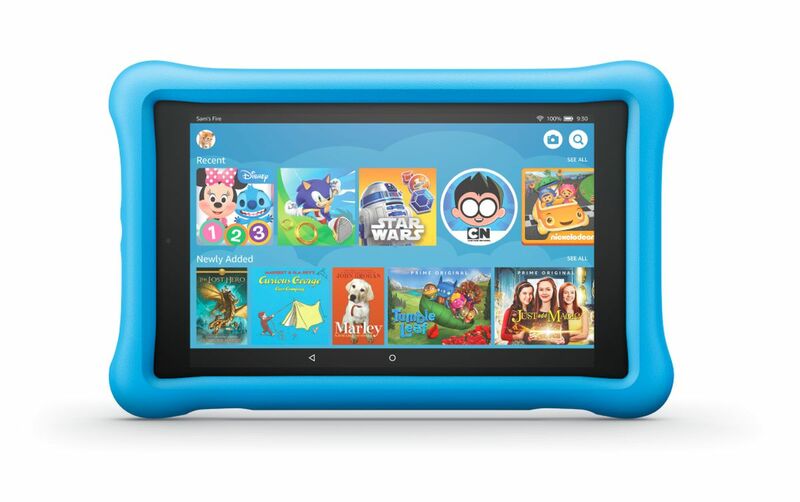 The Kids Edition bundle comes with a blue, pink, or yellow bumper, two-year guarantee, and a year of Freetime Unlimited, Amazon’s content hub with kid-friendly books, videos, and educational apps and games. It’ll also add support for over 1,000 Audible titles and Spanish language content. The Fire HD 8 tablet can also be used as a hands-free Alexa device, letting you control your smart home or read an Audible book even when the tablet screen is on standby. Or if you’d like to turn your tablet into an Echo Show, you can connect it to the $40 Show Mode Charging Dock and get even more use out of it.